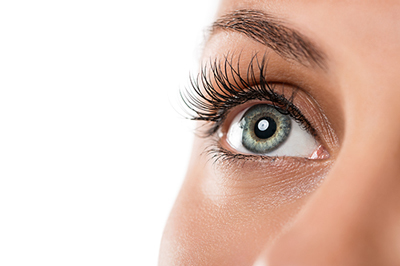 What better way to improve your vision than with a completely customized LASIK procedure. Tailored to target your unique vision imperfections, the newest version of LASIK, CustomVue, is helping men and women all over the country. So, what makes CustomVue different than traditional LASIK? The 10% – 15% of the population that suffers from unique vision challenges, called higher order aberrations, are able to take advantage of a personalized laser treatment, whereas with traditional LASIK may not have been able to fix these vision problems. The laser is specially programmed to reshape your cornea based on distinctive corneal mapping information unique to each eye. If you’re nearsighted, farsighted, or astigmatic, CustomVue may offer you the chance to experience truly unique vision without glasses or contacts. The CustomVue procedure utilizes Wavefront technology to measure and evaluate your vision system. With this state-of-the-art technology, your doctor is able to identify unique imperfections with 25 times more precision than traditional methods. After measuring at 200 various points, our equipment produces a detailed Wavefront map of your eyes, and uses this information to program your VISX Star 4 laser treatment. The accuracy allowed by this new method is unparalleled and offers patients with higher order aberrations the potential for perfect vision. With the developments used in CustomVue, many patients will end up with vision quality that surpasses the vision they experienced with glasses or contacts. The CustomVue procedure also uses Iris Registration Technology, a non-contact alignment system that uses the information generated from the Wavefront map to successfully align your corneas for laser delivery. The accuracy offered by this technology is also unparalleled. Schedule your complimentary consultation today to find out if you are a good CustomVue candidate! Learn more about Custom LASIK in our FAQ section. Reach your vision’s ultimate potential with CustomVue. Learn more about CustomVue at www.personalbestvision.com. Discover your best vision with the precision and accuracy of CustomVue LASIK. Contact Berg·Feinfield Vision Correction today for your free laser vision correction evaluation.